Please contact the Clerk, or Blaby District Dog Wardens (0116 275 0555) to provide details of your animal fouling concerns. 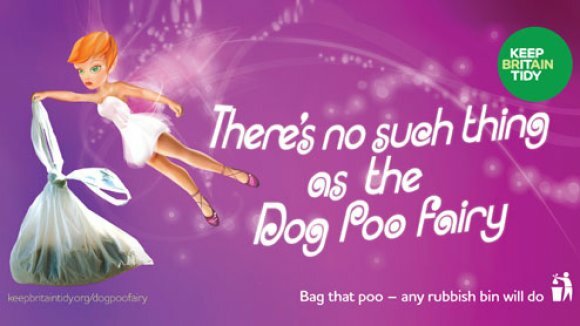 Whilst dog bins are OK, they are not essential as ANY rubbish bin or household bin can be used to put the bags in. Some people will not clear up after their dog whether there are bins present or not. If reported these people can be fined up to £1,000. If you know of areas that are affected, please let us know using the Contact Us page on the left, send us an email or call the Clerk and leave a message. We need to to know as a minimum where and when. Also it would help if you can supply us with a description of the offender and dog. If you come across bags left hanging in trees or piled besides bins we also need to know as this constitutes fly tipping. Control of Dogs: Clean Neighbourhoods Act 2005. Fouling of Land by Dogs (Blaby) Order 2008. Dogs on Lead by Direction (Blaby) Order 2008. This Order gives authorised Council officers the power to deal with dogs not being kept under proper control. Dog owners could be required to place dogs on a lead. Dogs Exclusion (Blaby) Order 2008. This Order bans dogs from all enclosed childrens play areas within the District. The above Orders will be enforced by Blaby District Council. Officers of BDC may issue fixed penalty tickets or written warnings. There is an option to prosecute for more serious incidents or where fines remain unpaid and for repeat offenders. BDC officers will also check whether dog walkers are armed with bags and give issuing warnings to those without them. A new initiative to improve the effectiveness of the dog legislation is the issuing of fixed penalty notices on the strength witness statements.